100,014 spams caught, 1,476 legitimate comments, and an overall accuracy rate of 99.882%. I have no idea how that compares with other blogs of a similar size (i.e. very low readership / traffic) but it seems like an awful lot to me. Sadly the actual one hundred thousandth piece of comment-spam was one of those “loads of question-marks” comments — indicating, I suspect, that it was submitted in a typeface my browser can’t process. This is given further credence by the fact that it links back to an Israeli website selling cheap “Nutraceuticals and Functional Foods”. So I’m guessing that my 100,000th piece of spam was in Hebrew. Try explaining that to someone from the 19th century. The 99,999th spam was also for cheap drugs. In English this time. So if anyone needs any amoxicillin, I can send you the link. The 100,001st spam, on the other hand, was an example of my favourite kind. The classic nonsense poetry spam… “I so understand, in last paragraph just whole salt and is stated”. Meanwhile my incoming traffic is still heavily google-based. I’d say at least 60% of my readership is of the “search, click, glance, back” variety. I’d like to think that I manage to snare one of those a month as a regular reader… but even that may be optimistic. And there are three topics which, via a variety of different searches, account for the majority of those google hits. First up (and this pleases me) are people searching for “CO2 per barrel of crude oil” or some variation thereof. The next largest group are those who come looking for the techno-viking video. I’m not even in the first 10 results for that. Which means people are skipping over 10 perfectly good links to a video in order to watch it on this site. Ten or fifteen of them a day. Which is odd I think. And the third biggest draw is the “Dublin to London by bus” post. Like the CO2 emissions thang, that’s quite a useful post, I guess, so it’s nice to see it getting readers. In general I would say, “no”. But it rather depends on the analyst. What is the authority principle of Freud? I have no idea. I suspect you are referring to the ‘Reality Principle’ (though I’ve never heard it referred to as the ‘authority’ principle). The definition provided by Wikipedia is nice and concise, while there’s a longer extract from the Dictionary of Psychoanalysis over at answers.com. Why is windows genuine advantage suddenly popping up? Don’t ask me, I gave up trying to understand Windows a long time ago. “Weird stuff happens”. I suspect there’d be a measurable drop in global stress levels if Microsoft used that as the tag-line for Windows. Kind of like a big “Don’t Panic!” sign. 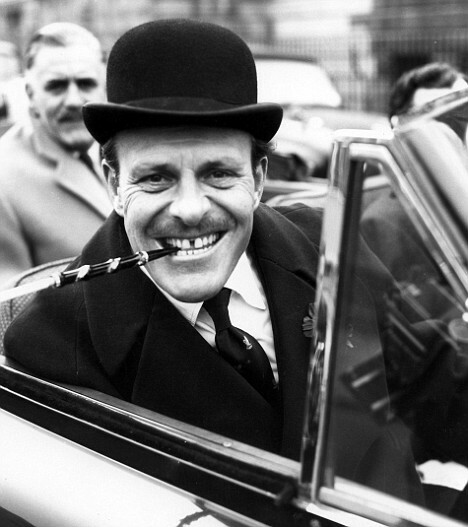 In Britain it’s clearly Lord Goldsmith. As for elsewhere? I really couldn’t say, but if you turn off google’s safesearch filter I suspect you could have an unforgettable time trying to find out. Or for a slightly different take on the matter, you could check out Flight of the Conchords and their sugarlumps. What are 3 countries besides the usa that are have placed bans on smoking? There’s a whole bunch of them, each with slightly different levels of prohibition (though only in Bhutan is the actual sale of tobacco illegal). I think my favourite search term of late, though is “marijuana found in the antarctic“. I’ve searched myself and can’t find what the person might have been referring to. HQ and Fullscreen the thang! UPDATE 24-05-09: As Gyrus points out in the comments to the previous post, these P-Funk videos are but small parts of a larger whole. Check out The Mothership Connection for some amazing music and visuals. I’ve known Merrick for about 15 years now (a fact that makes me feel terribly old… were the St. Rock’s Day Parties really that long ago!?) He’s a good enough friend that I’ve been able to overlook his psychotic hatred of donkeys. A hatred I brought to public attention here, and which may well merit a blog-post of its own some day. His sustained attacks upon one of the few champions that these poor, downtrodden animals have in their cold world of suffering, are essentially the equivalent of eating donkey steaks every day, washed down with a nice warm mug of donkey blood. Vegan? Schmeegan! Don’t get me wrong, I’m not defending Chris de Burgh as an artist. He’s really not very good, but the first couple of albums have nice tunes on, which is more than you can say for Huey Lewis. Am I right? Anyhoo, Merrick’s writing (except on the subject of donkeys) is wonderful. And his blog really is one of the best out there. I want more people to visit it as his posts deserve nice long chunky comments threads. While most British bloggers have been having a pop at the British National Party and their leaflet campaign, Merrick’s post on the subject is the one you need to read (British jobs for Polish workers). His post on the MPs expenses brouhaha — Levelling the expenses playing field — is also excellent (and I’m not just saying that because it quotes me a couple of times) and contains the best solution I’ve heard yet regarding the controversial Second Homes Allowance. Just make MPs eligible for housing benefit in London. It is, after all, enough. Isn’t it? 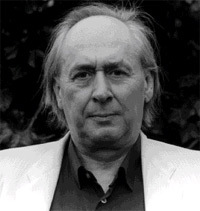 Although it was a wee while ago, I’d like to take a moment to mark the passing of JG Ballard. He had a huge influence on my intellectual development. The Atrocity Exhibition hit me like a freight train in my first year at university. I went on an all-Ballard diet for a while and, having read pretty much everything he’d written up until that point, emerged somewhat freaked out… my dreams, ever-after, have often taken me to landscapes that could only be described as Ballardian. Or would “Ballardesque” be better? Have we established that yet? Anyway, another person who was profoundly touched by Ballard’s work is my friend Gyrus. His short piece, Ballard dies, is worth a clickthrough. Also worth your clicks are David Byrne’s musing posts on the internet, resource depletion and socialised medicine (Senigallia — You Get What You Pay For) as well as his latest post… on… well… buildings and food (The Best). OK, so it’s mostly just “food” but the line was too good to pass. Oh, and in the spirit of my recent, Where’s Scully when you need her? post, check out Sellafield robots stealing nuclear waste. Is this the end for humanity? over at Nuclear Reaction. Run for the hills!